A road trip is an exciting adventure that allows you to experience different parts of the world behind the wheel. Unfortunately, it can cost a pretty penny if you fail to effectively plan for the journey. Find out how to plan a road trip on a budget. There will be many things you will need to pay for on a road trip, regardless of whether you plan to travel across America, Europe or your home nation. 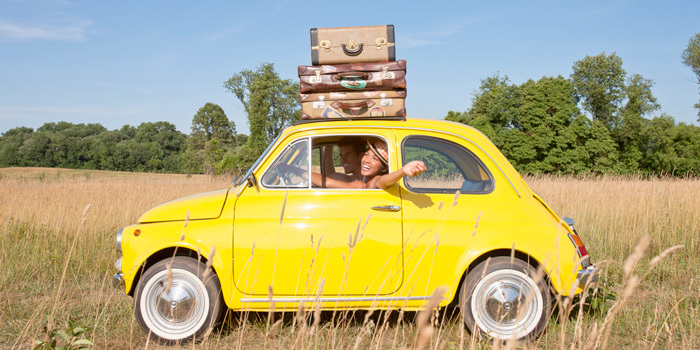 You must start saving for gas, food and accommodation, which can make or break your road trip. If you can think of another big expense, make sure you factor it into your budget. The last thing you will want is for a vehicle to breakdown on your big adventure, which is why you need to invest in a dependable car that will allow you to experience every destination on your road trip bucket list. One vehicle that has built up a strong reputation for reliability is the affordable Toyota Hilux, which provides safety, driveability and convenience, so it is the ideal vehicle for the journey ahead. Once you’ve discovered the perfect vehicle, you’llneed to calculate the car’s fuel costs. The last thing you will want to do is run out of money or gas in the middle of the road trip. We, therefore, recommend calculating how many full tanks of fuel you’ll need and comparingit to the nationwide gallon-price of fuel. Don’t forget to factor in maintenance costs too, such as motor oil, fluids, hoses, belts, tyres and more. If in doubt, discuss what you’ll need with an experienced mechanic. It goes without saying that you’ll want to reduce your prices as much as possible on a road trip. One way to do so is by booking last minute lodgings. Many hotels will slash their prices for unoccupied rooms at the end of the day, so book a last-minute room to enjoy a comfortable bed and shower for a great price. You also have the option to embrace the great outdoors by camping out. It’s an effective way to save money, as you can sleep under the stars in a scenic area of your choice. Reduce your fuel fees by mapping out the best discount gas retailers in advance. You can, therefore, ensure you pass by the gas station to make a great saving on your fuel, which could save you a considerable amount of cash during the road trip. Cashflow might be a little tight from time to time during a road trip, which is why we recommend trying to eat for free as much as possible. For instance, indulge at a hotel’s free buffet to give your body fuel for the day. Don’t forget to take some fruit with you for the drive ahead, too!